The deadline for emoji for 2019 was April 1, so any submissions received after that date are considered for release in 2020. The submission form has undergone some revision, so please be sure to review the new text before putting together a proposal. There is a limited number of emoji characters considered each year, so be sure to follow the form so that you can provide the best case for any proposed emoji. The emoji subcommittee has also produced a new page which shows the Emoji Requests submitted so far. You can look at what other people have proposed or suggested. In many cases, people have made suggestions, but have not followed through with complete submission forms, or have submitted forms, but not followed through on requested modifications to the forms. 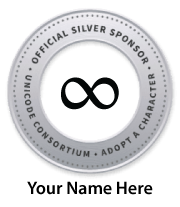 The Unicode Consortium is soliciting feedback on the text and data changes in the proposed update UTS #51 Unicode Emoji. This specification is now synchronized with Unicode Version 11.0, and slated for release at the same time, in early June. Feedback is due by April 23 — this is the last chance to provide feedback on any changes and any open review issues. The recent changes modify the definition of emoji combining sequences, add a section describing the emoji property stability (including under operations like lowercasing) and a section providing EBNF and Regex expressions for loose matches on emoji in running text, and some clarifications of gender neutral characters. Note: the emoji characters and properties for Version 11.0 have already been finalized, so this last call is just for the text of the specification, not the emoji characters or properties.